February may be the shortest month, but in Canada it often feels like the longest one. It does, however, have some good things going for it, one of which is that when we get to March, we know that winter (for some of us at least) is nearly at an end. Hearts are a symbol that have got much attention over the years: flowery hearts on Valentine cards, hearts used to advertise and to attract our attention – think “Heart and Stroke Foundation”, the CPR heart, emoticon hearts on T-shirts and bumper stickers. We stitchers should have a bumper sticker that declares I♡ the heart! We love the heart motif. It can be worked in so many ways. 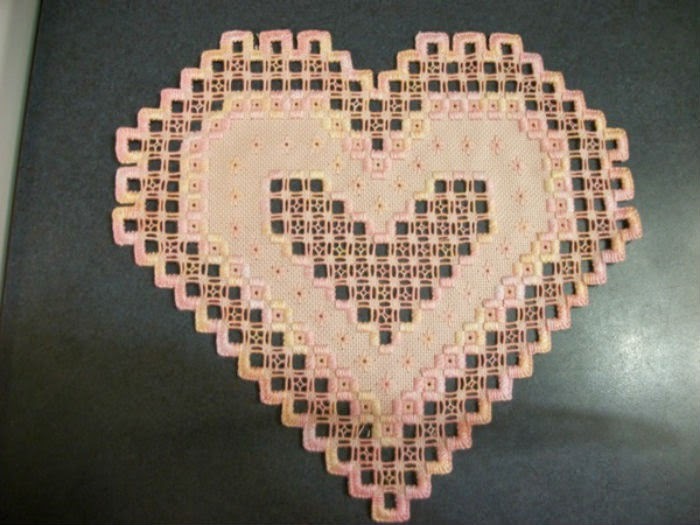 If you want to find out just how many, visit www.pintrest.com and search for “stitched hearts”. Canvas work heart; this is a lovely design. Hardanger heart, so lacy and delicate. 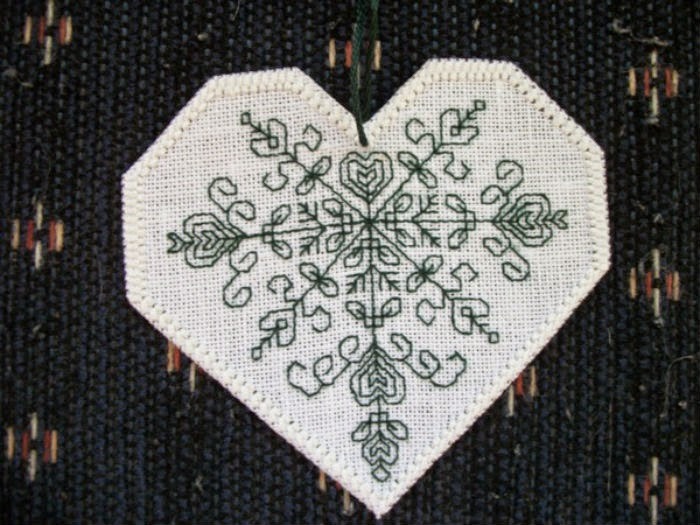 Blackwork heart; what a great design. 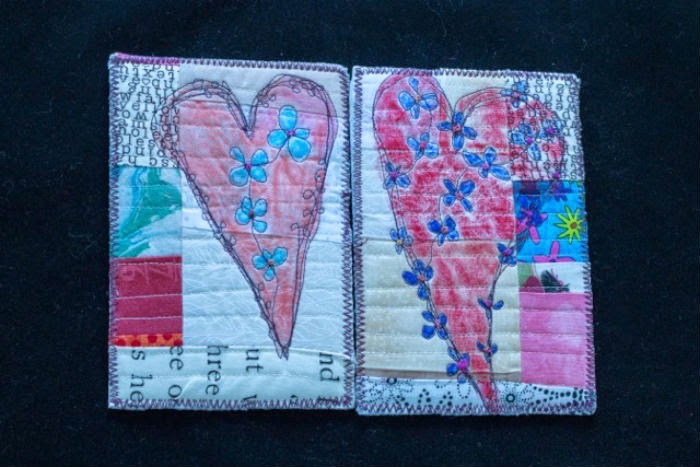 I stitched these heart cards last February. 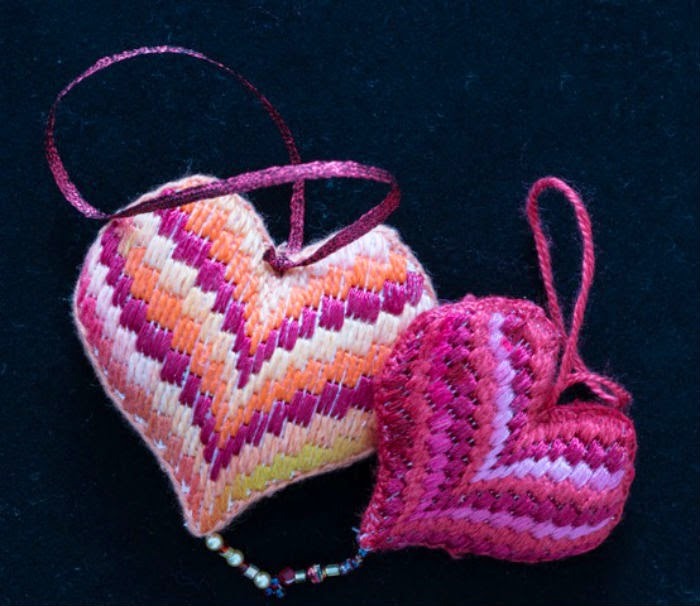 This year, I stitched these two heart ornaments from a design from the Marigold Guild of Needle Arts. 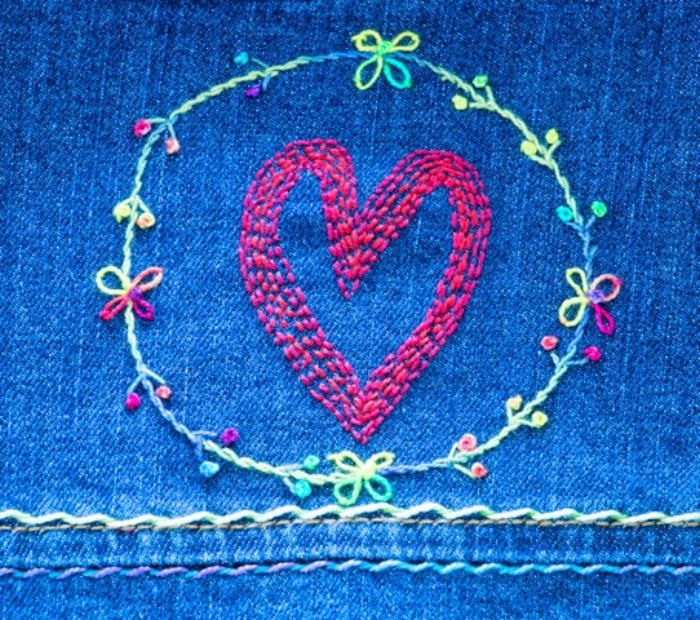 This last photograph is of a heart motif on a denim jacket that I am embellishing. The design is from Patchwork Loves Embroidery by Gail Pan (my new favourite book!). we’re now half way to March! 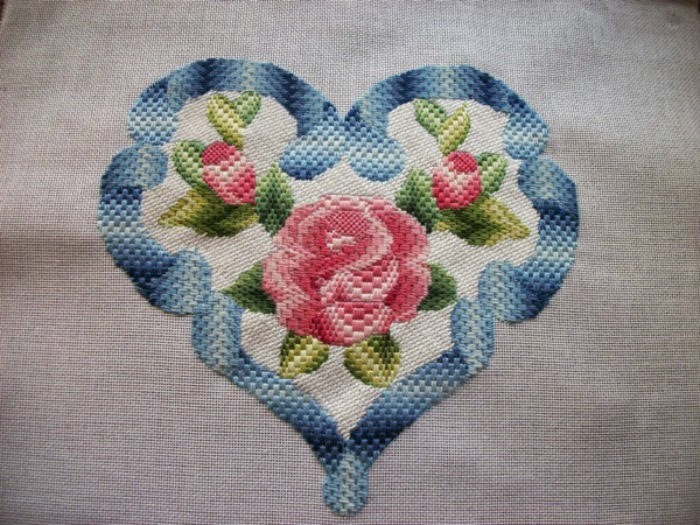 What beautiful stitched hearts Sue! Lots of love in these pieces!